Andrew McGranahan, our 2017 Poster Artists. Andrew McGranahan will not be at our music and art event this year, but his art for our poster will be posted all over the Bay Area stores, streets and our social media platforms. 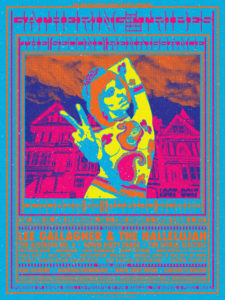 Andrew is well known in the West Coast music festival poster circuit and he was a perfect solution for a quick, but beautiful poster commemorative inspired art of San Francisco Hippie Girl from great San Francisco artists of the late sixties, Victor Moscoso, Wes Wilson, Alton Kelley, and Stanley Mouse. 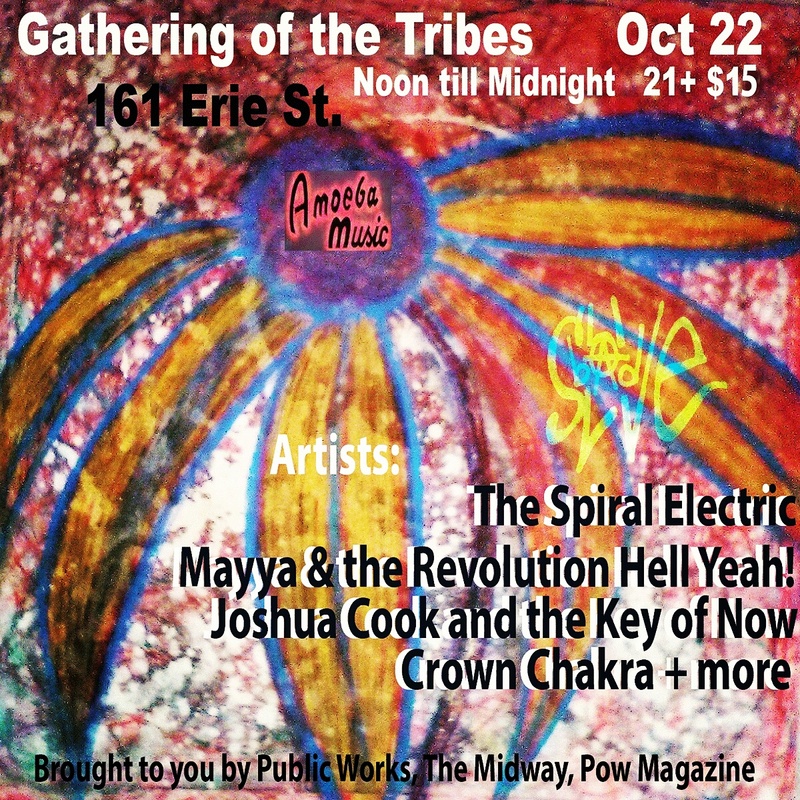 We are honored by Andrew design work for Gathering of The Tribe’s 2017 music and art festival. Since then, Naomi has been experimenting with any and every type of art she can get her hands on, from performing (She hold a BFA in Musical Theatre and spends much of her time working as a professional circus performer) to sewing (She also designs custom circus performance costumes) to working on art build crews at the Burning Man Festival in Nevada. 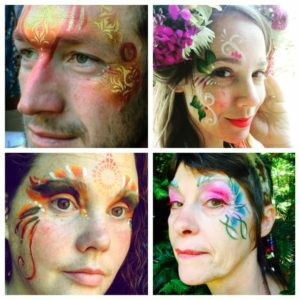 Naomi has been working professionally as a face painter and children’s entertainer in the Bay Area since 2010. Naomi will offering face painting at Gathering of The Tribes on the 22nd of October after 6:00 PM. 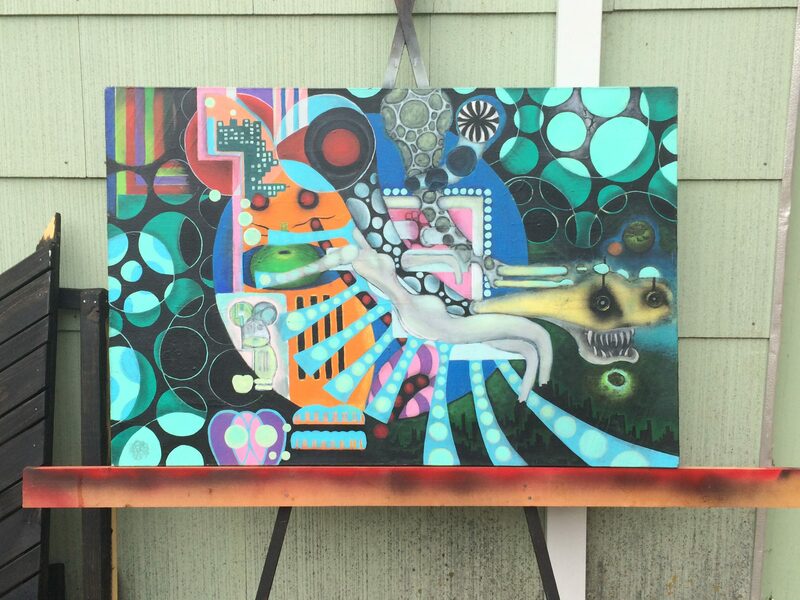 Will Durkee Art + Music. Passionate burrito lover & cosmic dude from the North Bay. 30-ft. tall mural on Hemlock alley, off Sutter in SF. Completed Summer 2017 with fellow artist & friend Marcus Lee. Touring musician with the San Francisco Mime Troupe, for their 2016 production of “Schooled”, playing a handmade double-neck bass & guitar. Currently working on an eclectic music recording project, with visual art accompanying each song release. Lots to come. 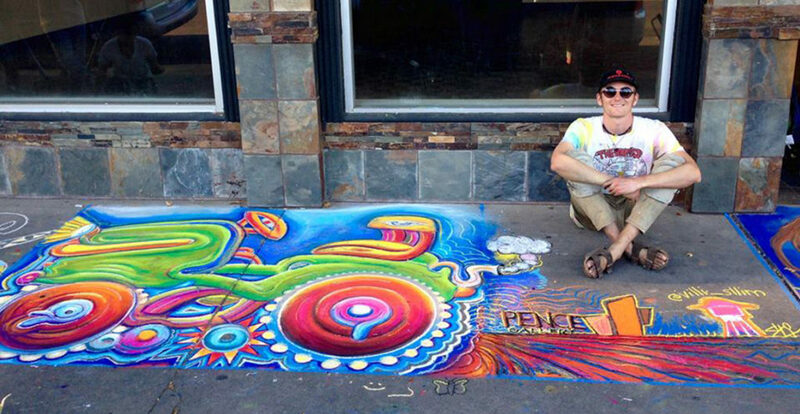 Jack Vernon is visionary, abstract, and street artist. 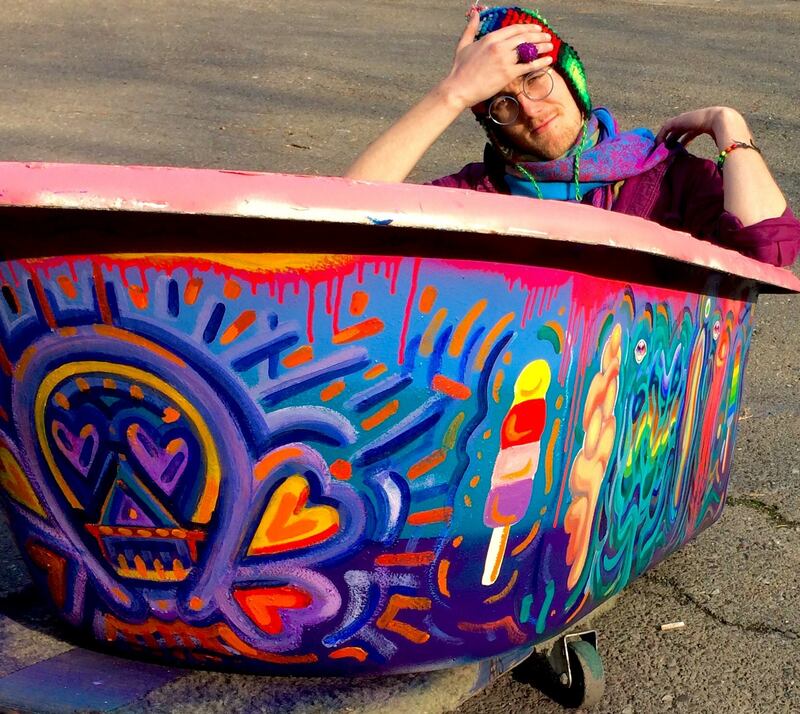 As a native New Yorker living in the Bay Area for over a decade he has been inspired by some of the greatest artists out there and has developed a wide range of styles, from visionary to abstract, transcendent 3D and light activated paintings, as well as street art and muraling. 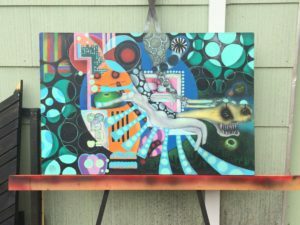 In the last five years since returning to art as a life and a passion he has built an exiting collection of paintings that have been shown across the Bay Area in galleries and museums, and has recently started to paint at live venues in order to share his work with as many beautiful people as he can. Rob’s work points to massive declines in habitat, wildlife, declines in education and other quality of life issues like equality, while disease, war, and other social threats are on the rise. Rob recently commented, “apathy is a demand for empowerment, it is great to see increases in fans acknowledging our products”. Goals for 2017 include licensing some songs and selling art products to create even more opportunities and get solutions out. Rob’s new book under way, Black Cloud: The Aftermath of Human Intelligence is a combination of creative synthesis and new research results. A literary work for young audiences to look forward to include Daily Dose: 365 Lessons for Life. His public service agency, EIA, is endorsed by a number of notable academics, persons of interest, and prominent non-profits and artists globally. Project Censor, Harvard’s Einstein Institute and politicians such as Gavin Newsom and international public speakers have all used information or received recommendations from Robert Jackson who leads the Equilibrium Institute. Rob’s building a stable sustainable foundation called Equilibrium Institute (EI) (www.ripstar.cfsites.org) to educate people and provide a road map to more open and respectful ways of living. We drive and inspire our culture to combat ignorance and violence and use the proceeds from art and music to fund research. Some items are published to bolster the community and re-build the U.S. and other nations with the greater use of intelligence. 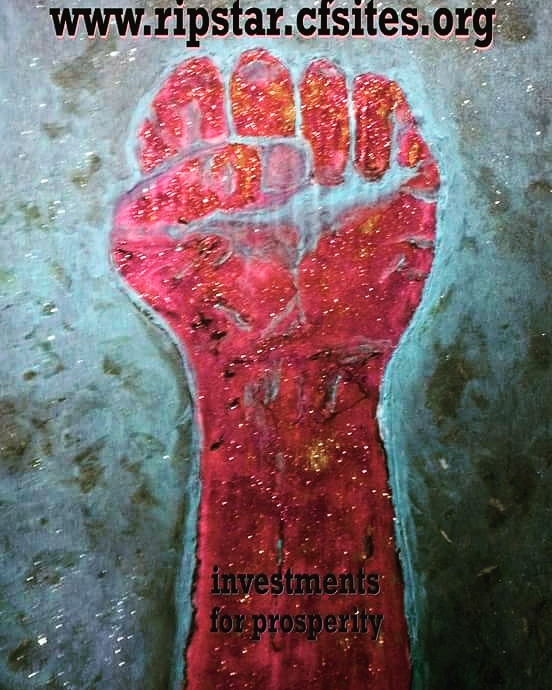 Rebuilding Nationhood for more sustainable prosperity is a movement that empirically identifies false cultural premises (negative bias/ myths), and nonviolently combats internal threats that are found to reinforce corruption of self or society. EI opposes all forms of slavery or abuse and works to remove obstacles to empowerment through education and creating opportunity. Fair opportunity, quality care for optimal development and basic human equality are central measures for how we are redefining global success. Harmony is a basic requirement for peace. Understanding the interdependencies of the earth and learning to share and work together for practical solutions is what EI culture fosters. http://www.artmajeur.com/plumatorium had 17,336 visits since 2015 (avg. 8,668 yr.) with 5 online galleries with posters and original art available. 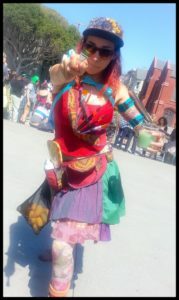 Art tour is a vehicle to increase visibility for artist that lack mass-media platforms or otherwise need representation. EI sponsors at-risk artist. Art-tour has held live installations in a variety of public settings since 2015 and sold many art pieces. Visual art production increased over last six months of 2017 and visual art is being placed in longer running installations (La Estrellita, Gallery 400). LA Cage Murray Show. https://www.teepublic.com/user/backline Backline designs feature Rob’s art or art he owns rights to including some participating artists. We are seeking to complete the first line, shoot with models, promote to secure product placement- then order bulk printing. This project needs a manager. Willing to share profits, but Rob’s role is limited to creative director on this project. Action: locate marketing project manager. Backline designs complete by Nov. 2017.
www.specialagenttraining.cfsites.org revolutionary nonfiction! Site had 45,453 views since 2014 (up 2,000 view in last 3 months). Best Foot Forward (Vocational Education) and Collected Essays (General Education) are past educational products. Ongoing literary works not yet released; Deviant Nationhood (Fact Collection Investigative Journalism Project using primary research results only), Ecomania (Congressional Report), Blackcloud the aftermath of HUM-IT (Screenplay), and Dose- 365 lessons of life (survival manual for teens and up). Status: The Album titled Shot by Bad Slave is being shipped monthly to targeted music directors and stations we think the music fits. Yea (Urban Pop) not released fully yet. We have a weekly spot with Mutiny Radio in SF we can refer spoke persons to with our Common Thread Collective partnership facilitated by world renown poet/activist Diamond Dave, (SF). Rob owns rights to about 30 other tracks from other bands as well. 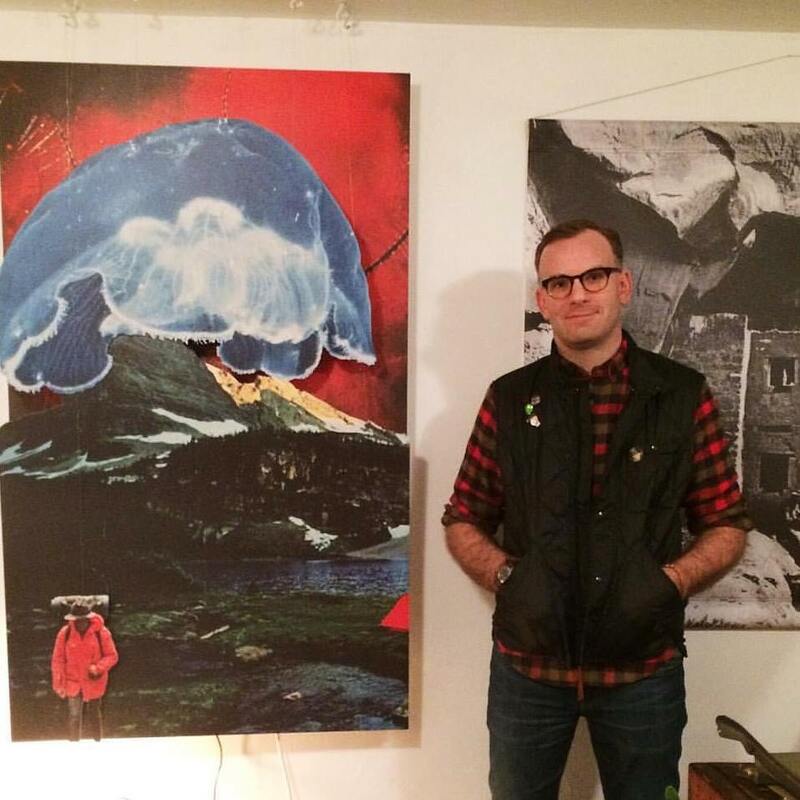 Rob is also a collector and artists agent. 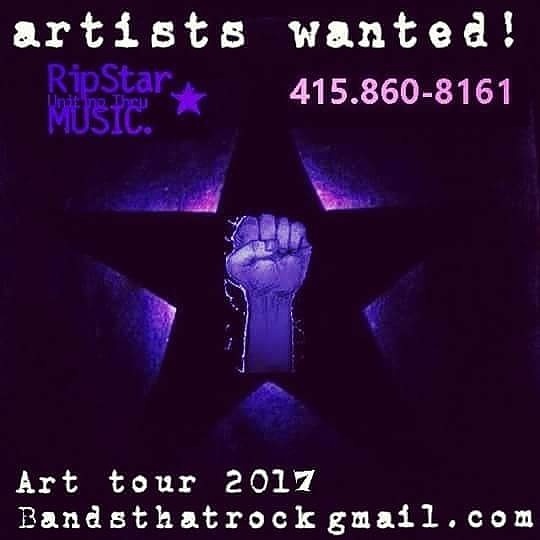 Rob works with many local legends and welcomes more collaborations in music and art for 2018!